Trauma insurance is the middle child of the personal insurance family. It’s overshadowed by its better-known siblings but it’s a quiet achiever that will do the heavy lifting when the circumstances require it. Trauma insurance – sometimes known as critical illness insurance – provides a lump sum payment in the event of a major illness or injury, such as a cancer diagnosis, heart attack or stroke. The full list of conditions covered will be set out in your policy. If you don’t have any personal insurance, you would be well-advised to investigate some of the more well-known policies before considering trauma cover. If you have superannuation you almost certainly have some life insurance, TPD cover and possibly even income-protection cover ‘baked in’, although the amount of cover is often low so you may need to buy a separate policy outside super. Trauma cover can only be purchased outside super, which brings us back to the issue of why bother. Take the 35-year-old who is paying $300 a year for trauma insurance. Let’s say he’s diagnosed with cancer. He has a life insurance policy but it’s not going to pay out anything unless it’s terminal cancer. He’s got TPD insurance but it’s not going to pay out anything unless the cancer is going to result in a total and permanent disability. He’s got income-protection insurance but that’s only going to pay out, after a waiting period, once proof has been provided that the cancer is preventing him from earning an income. With trauma insurance, there are no ifs or buts. Once the diagnosis is made, he qualifies for a lump sum of $120,000. That’s not going to set him up for life by any means, but it will allow him to cover medical expenses and pay the mortgage if he needs to, or chooses to, stop working for a while to concentrate on getting well. If, like our hypothetical 35-year-old, you have financial responsibilities and want the reassurance of a guaranteed payout if you suffer a health-related setback then trauma insurance may be for you. 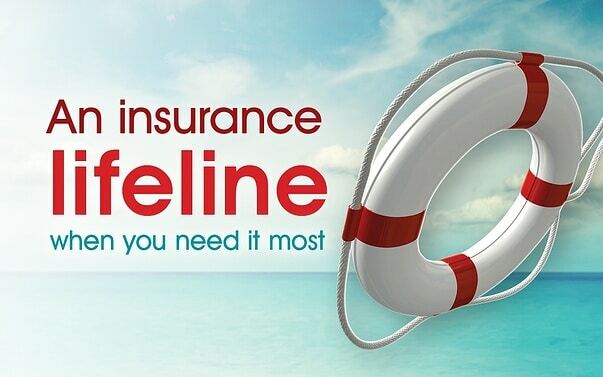 Avoiding being under or over insured is no simple task. If you’d like us to help you work out your insurance needs, give us a call.